The second boxset was scheduled to come out about a month from now and had been solicited for awhile. The new soliciation is for a week after the original release, but rather than a volume/collection name it has a title after the episode "Wild Boy of the Digital World." The list price is the same (although Well Go's prior Digimon box was easily findable for under $20 by quite a bit) but instead the time listed seems to suggest five episodes. It's worth noting that so far the second quarter series collection hasn't been canceled yet. No doubt we will hear more of this as we get closer to the scheduled release dates. Earlier this year Toei signed a new licensing agent for Digimon in North America, but it also includes the seasons licensed prior by Saban/Disney. This suggests that Disney no longer holds the merchandising rights for those four series, and may not hold any rights for them anymore at all. With the new series largely confirmed it suggests we may get this new series sooner rather than later with Toei seemingly starting the product licensing process far earlier than they did with Savers/Data Squad in the USA. Perhaps the biggest shock is that it appears Toei Japan is dealing with the licensing agent directly, leaving Toei USA out of the process entirely, which may or may not suggest any number of things. It's on Kix (Sky 627, Freesat 606) at 7am, 1pm and 4pm. The episode appears to repeat at these times daily. 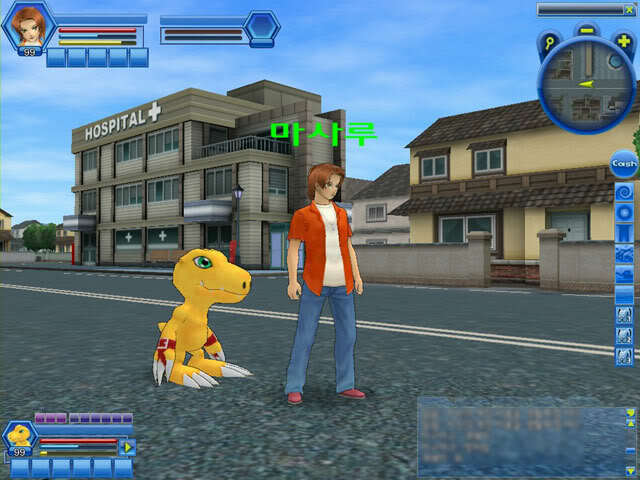 Digimon History 1999-2006 All The Best will be a 2 disk 'best of' for the period between Adventure starting and Savers ending. It'll contain all the intros, outros, and insert songs from well... the time period in the title of the album. It'll be 3400 yen and come out on January 1st, 2010 (and yes, from looking around, that appears to be the real date, and not a stand in.) NECA-30257 is the catalog number so everyone can track it down at their favorite online stores. Once there's more info it'll be posted. A nice way for Digimon fans to start off the year, hopefully it won't be the only thing we get. Forum Thread Here! Go look at it. Go check out the review at FBR, feel free to post about it in this thread.